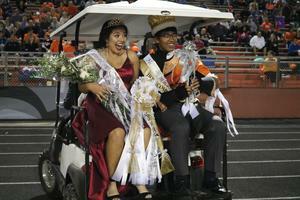 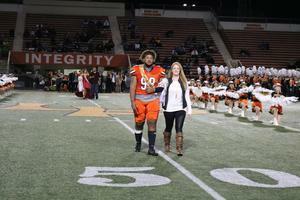 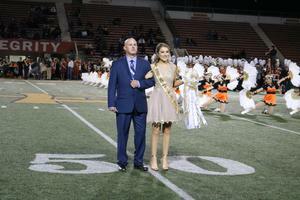 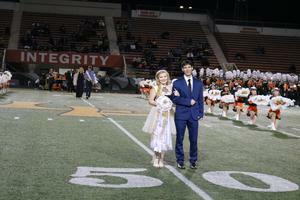 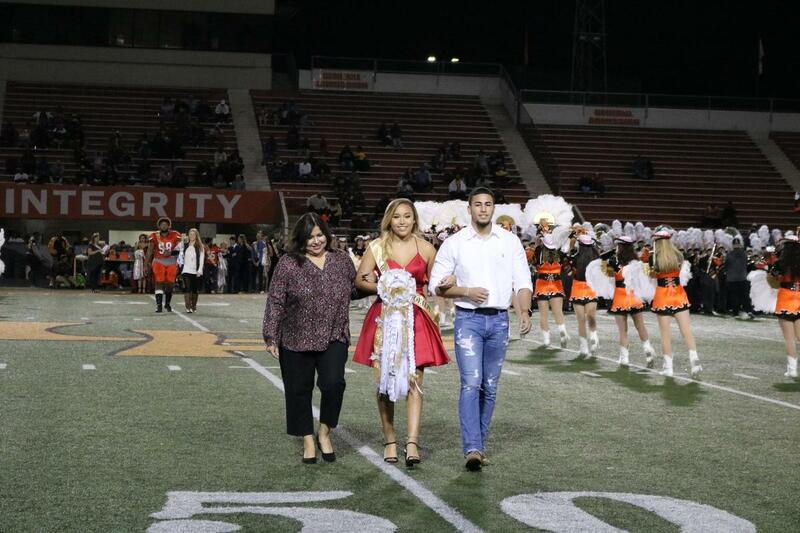 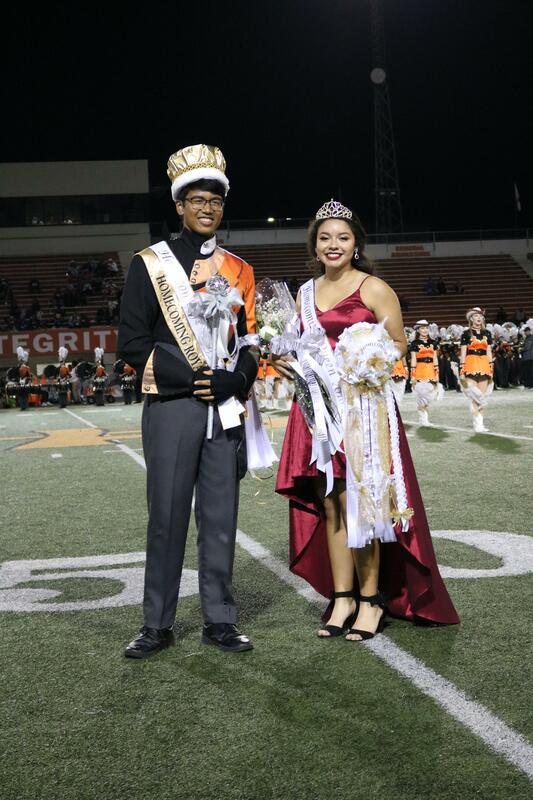 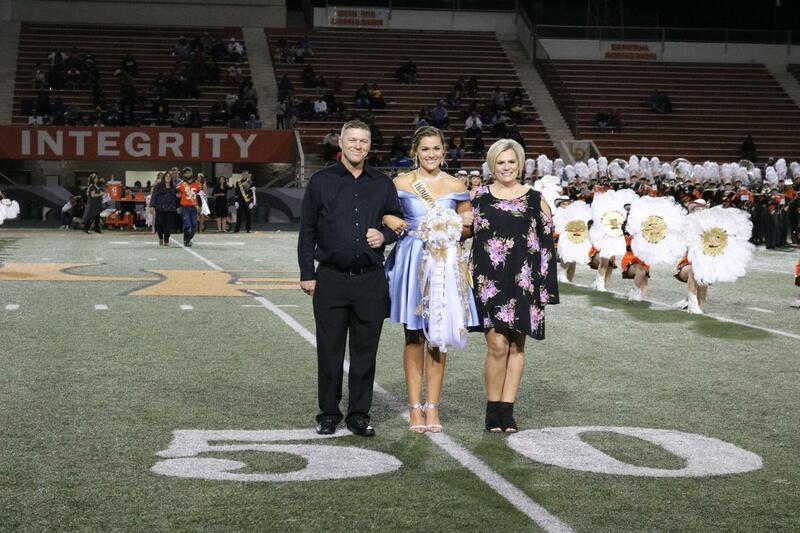 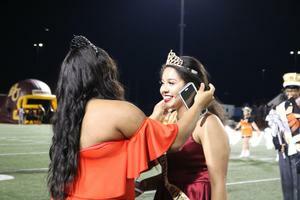 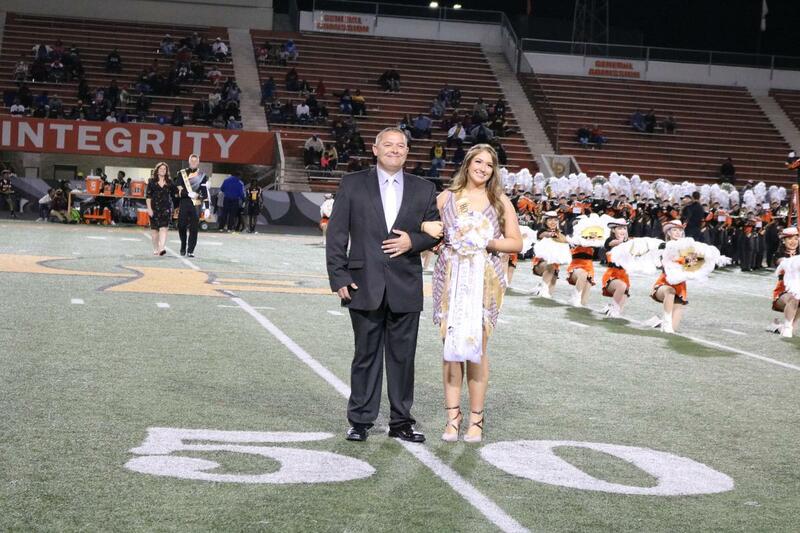 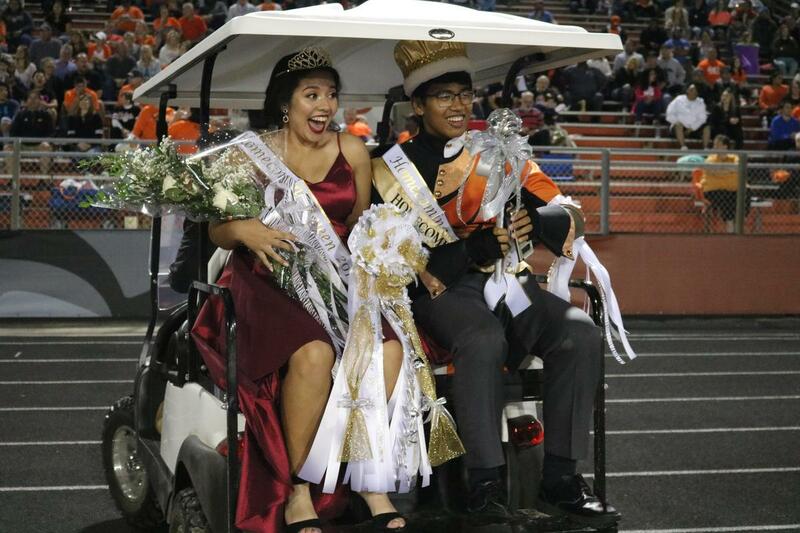 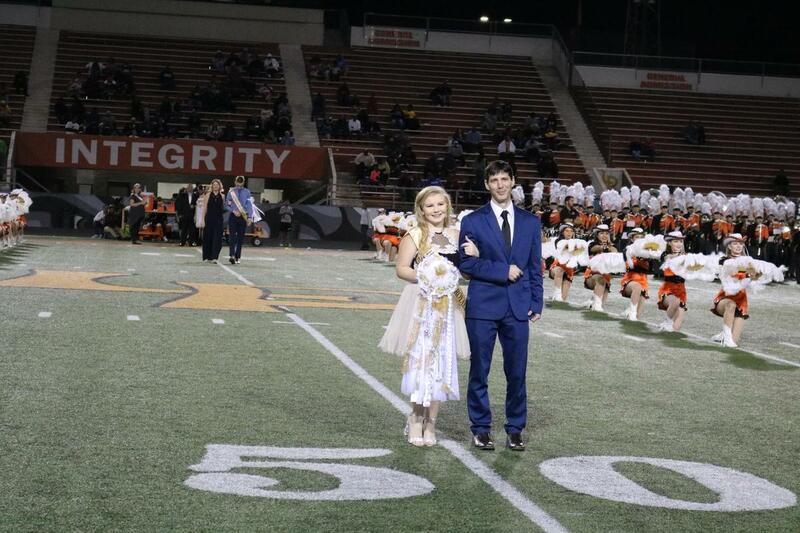 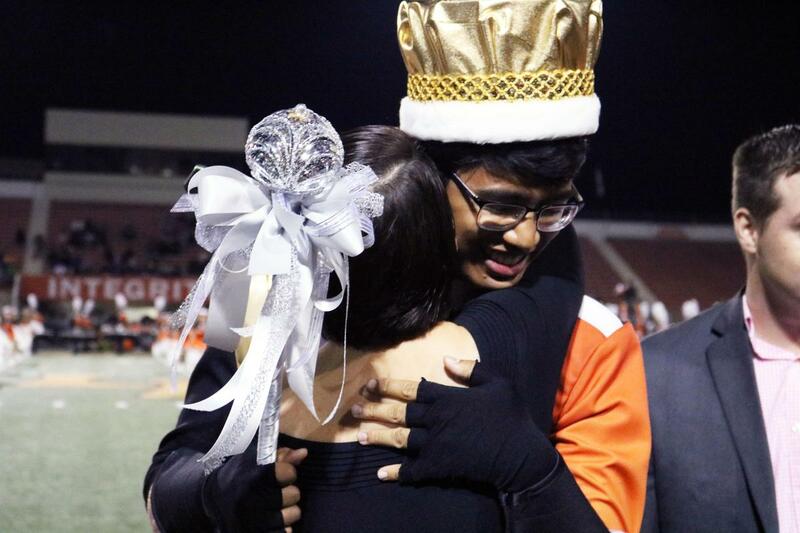 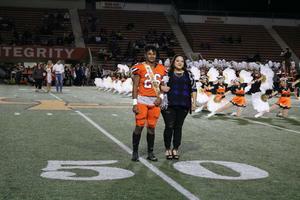 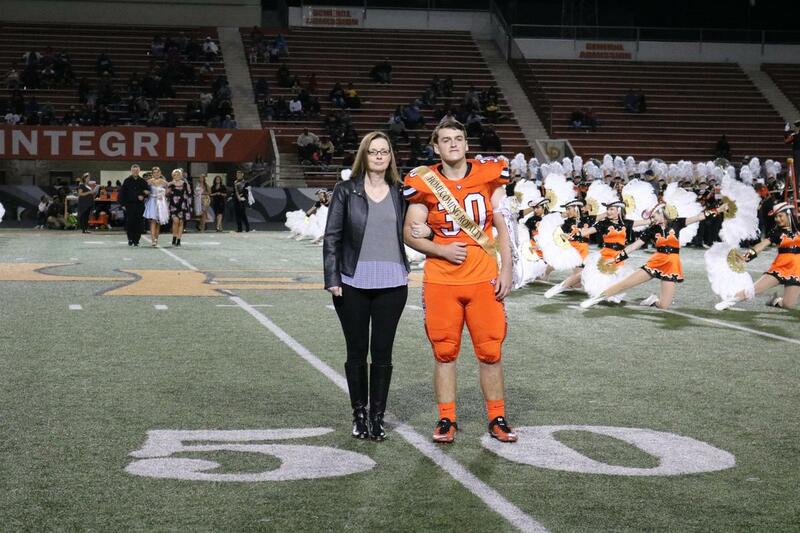 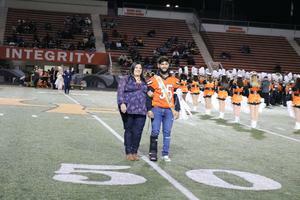 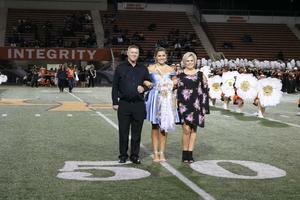 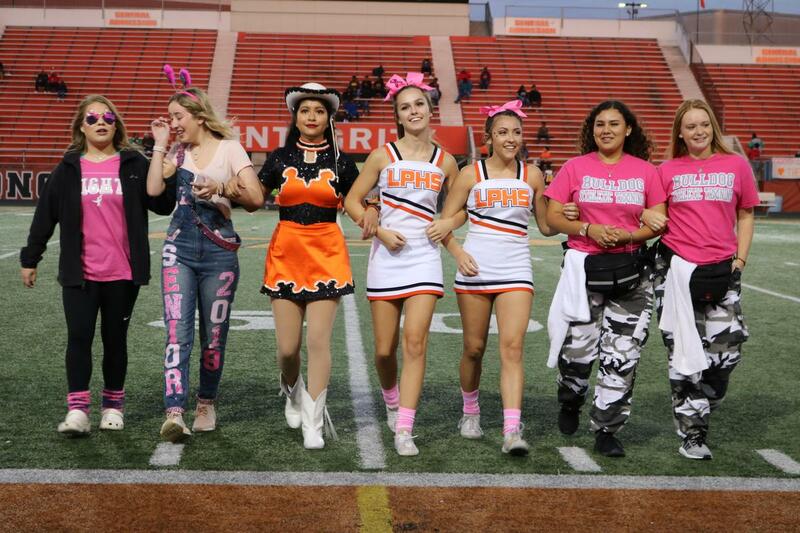 La Porte High School seniors Elisa Mendiola and Al Zeu Avergonzado were announced as LPHS 2018 Homecoming Queen and King, respectively, during halftime of the Oct. 26 football game against Beaumont United. 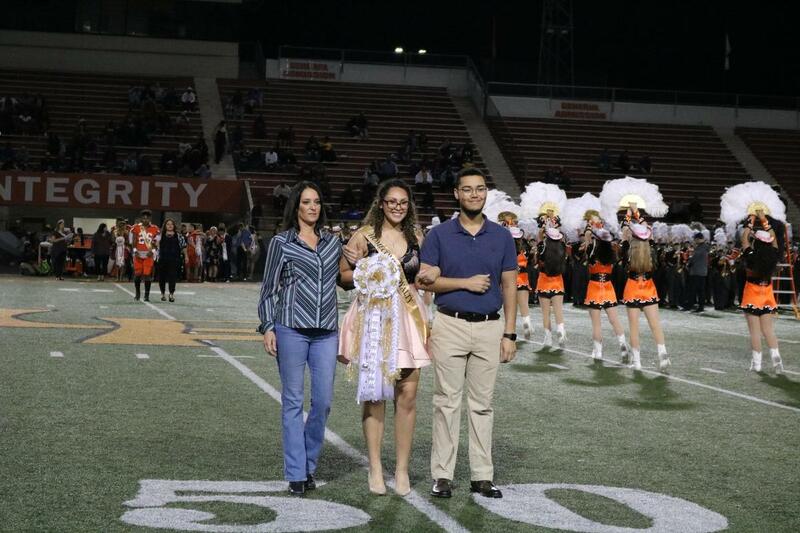 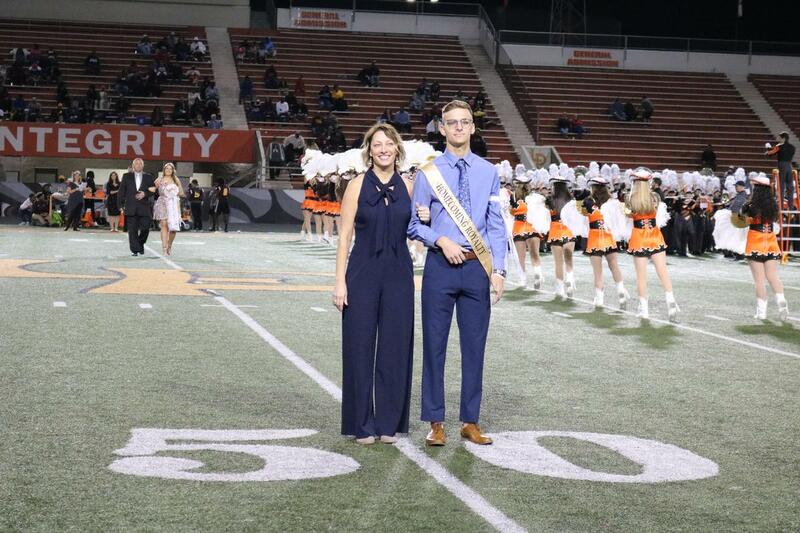 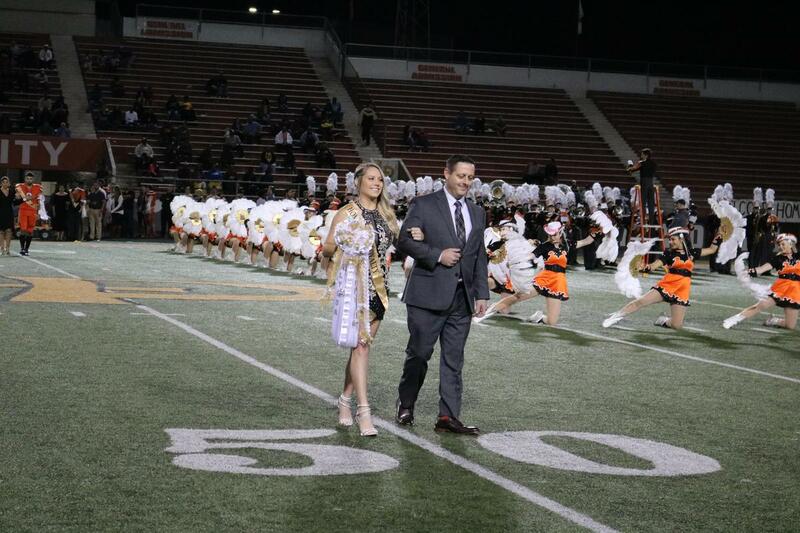 Each of the 16 candidates were escorted onto the field by parents, and following the announcement, this year’s Homecoming Queen and King were crowned by the 2017 royalty D’Lisa Promise and Hector Martinez. 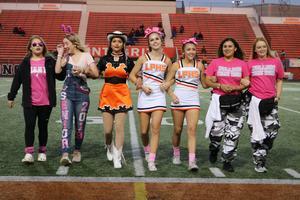 Other LPHS Homecoming Queen nominees include Alyssa Anderson, Trinity Burnett, Maya DeConge, Gabby Judge, Hailey Melton, Jillian Newman and Montanna Ondrovich. 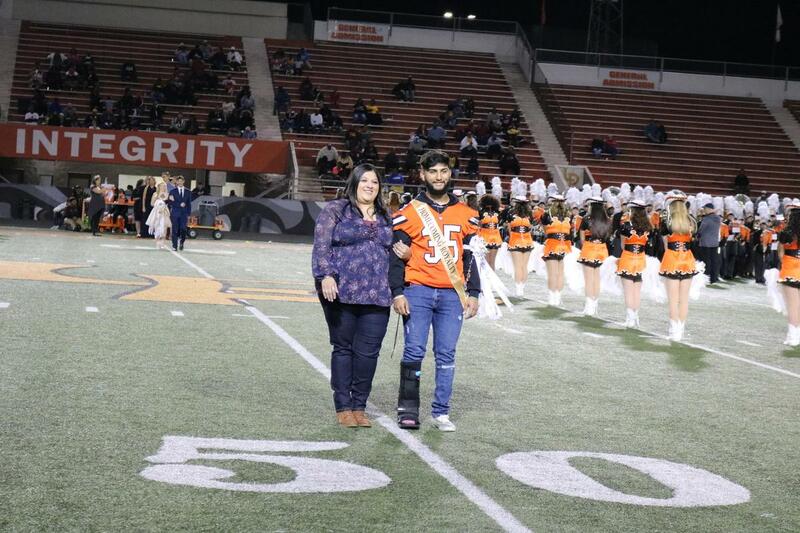 Homecoming King candidates also included Douglas Arnold, Braylen Espinoza, Devin Henderson, Aaron Lamb, Raj Mangat, Christian Whilley and C.J. Zerbe. 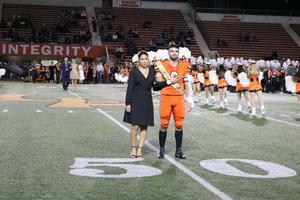 Prior to the game, the 2018 Distinguished Alumni and Distinguished Citizen were recognized on the field after being honored at a luncheon in Bulldog Centre earlier that day. 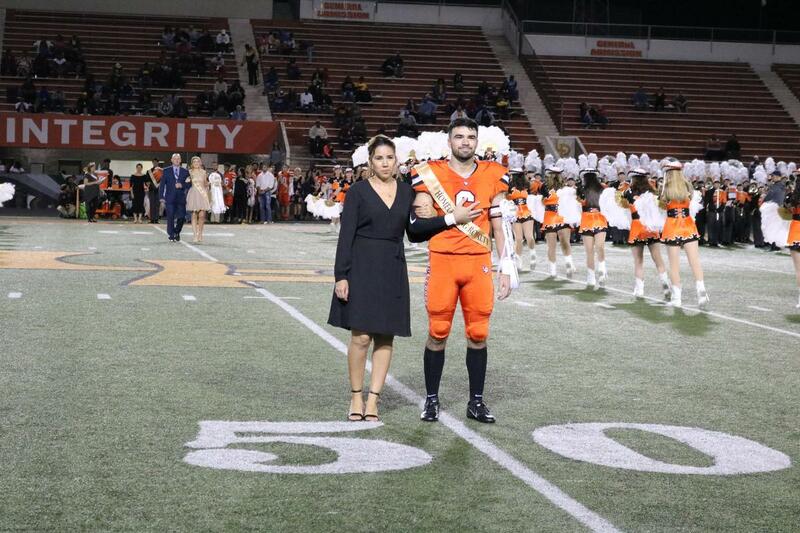 Kerron Clement, Gene Washington and Russell Ybarra were honored as the Distinguished Alumni; although Clement was unable to attend the event, he was represented by his sister, Kizzy Francis. 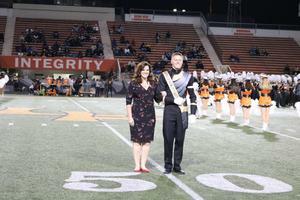 Jesse T. Garcia was honored posthumously as Distinguished Citizen, with his award accepted by his granddaughter, Raigan Haas. 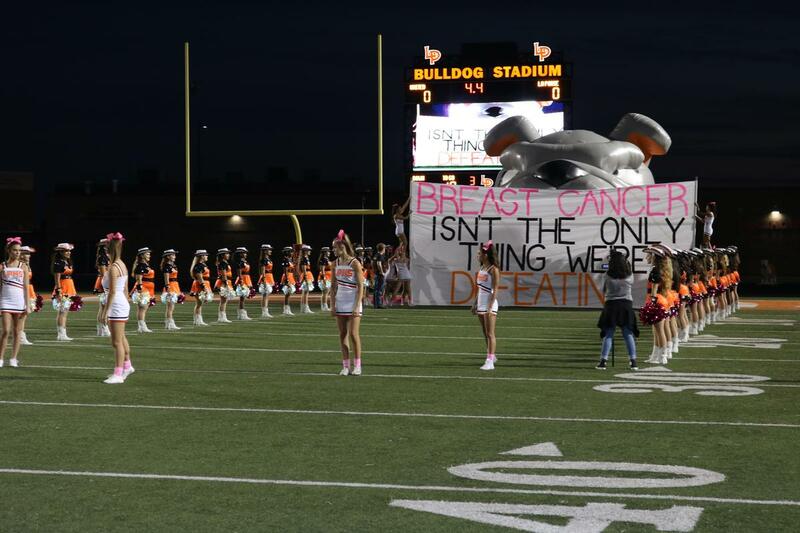 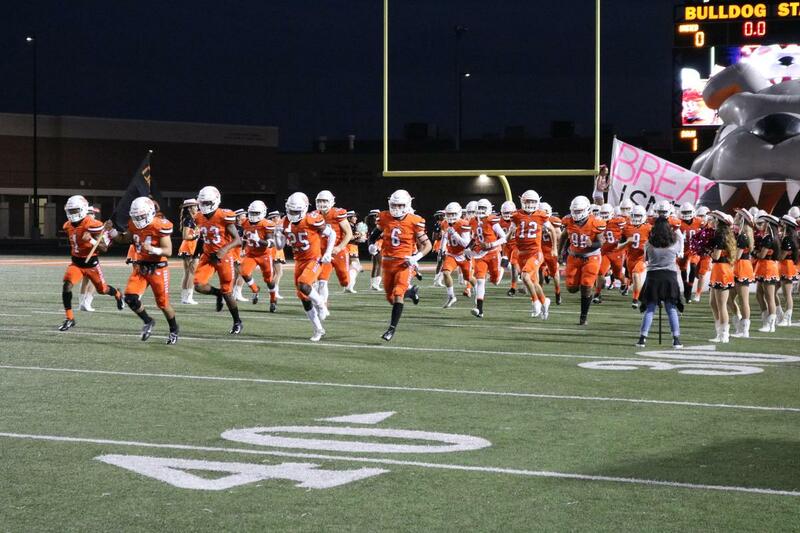 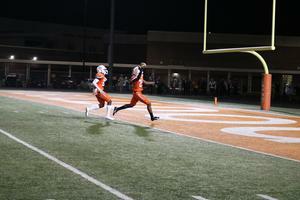 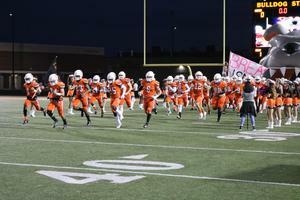 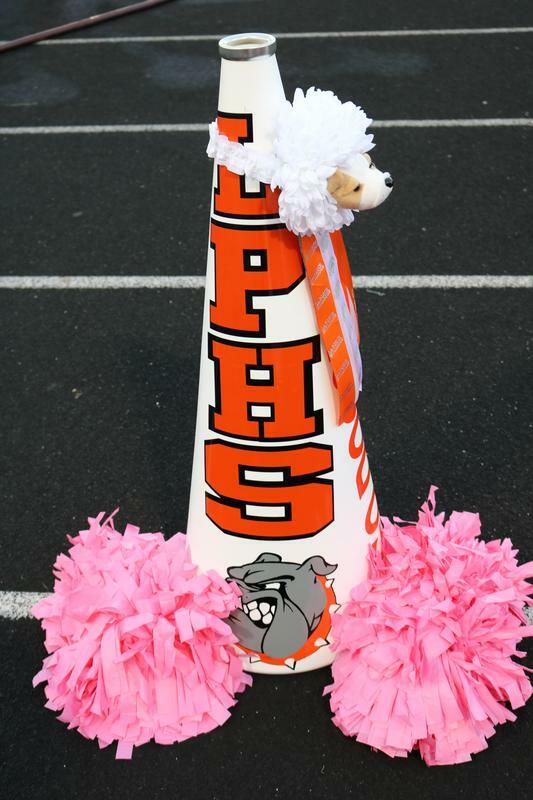 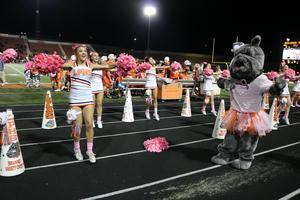 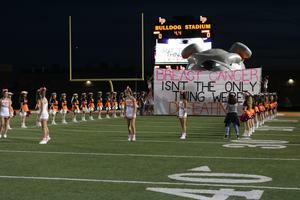 The Bulldogs won the Homecoming game in overtime, 25-19.